About Us | Newark Wire Works Inc.
Newark Wire Works, family owned and operated for over 100 years, specializes in manufacturing a wide range of woven and wire mesh products. We are members of the Woven Wire Products Association (WWPA) and are state pre-qualified in New Jersey. Over the past century, Newark Wire Works has leveraged its core competencies to ensure outstanding customer service, unparalleled product quality, professional installation, and on time project completion. We are very proud of the “customer centric” culture we have built and take great pride in every wire mesh product we produce. Our 30,000 sq. 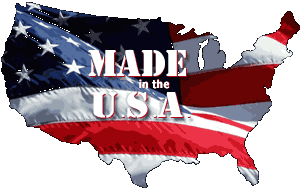 ft. manufacturing facility is located in Edison, New Jersey. This state of the art facility allows us to stock a large inventory of standard size wire mesh partition panels and a variety of door options to ensure expedited delivery for every project. This facility also gives us the ability to stock a large inventory of square mesh in sheet form that we use to fabricate custom projects on site. At Newark Wire Works, we always strive to keep our facility current in wire mesh technology and production tools. We recently made several renovations and upgrades in this area, including an electrostatic finishing machine. Building on the high level of customer satisfaction and demand of our Type 120 and Type 125 wire mesh partition brand, we recently introduced our new ProGuard series of wire mesh products. The ProGuard Series offers an innovative construction, utilizing an angle frame which allows you to choose any style of wire mesh without affecting the framing. Please take a moment to explore our website to learn more about our featured and specialty product lines. We invite you to contact one of our experienced sales representatives today at (732)-661-2001 to discuss your next project.